These are the XT-60 Connectors that come on many of the larger Rhino batteries. 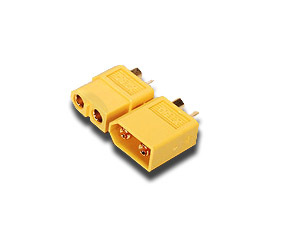 Made from high-temp Nylon and gold plated spring connectors. The XT-60 is rated for applications up to and beyond 65A constant.